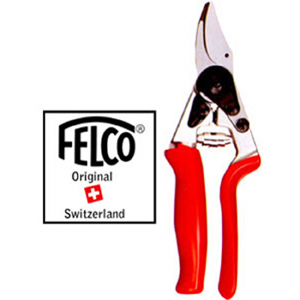 Requested by many users of the popular Felco 6 model this pruner has the added feature of a revolving cutting blade handle which helps reduces muscle fatigue that results from prolonged pruning. Smaller cutting head for precision pruning closer to trunk. Overall length is 7 1/4 inches, 9 ounces.